Last week I posted a photo of a beautiful pink rose in full bloom. 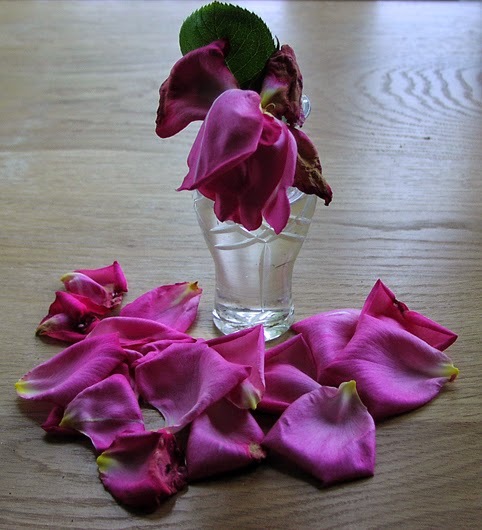 Here is another picture taken a few days later, of the rose wilting with its petals falling around it. I know it looks a bit gloomy, but I hope you don't mind me sharing it. I felt it served as a reminder of the transience of life and the importance of making the most of each day - especially the long, sunny days of summer.